I still remember the first time my parents purchased a high-end flatscreen television in the mid-2000s. I was excited to finally be able to watch movies on a TV that was manufactured in the last 10 years, only to quickly realize that the 1080p Sharp Aquos television they purchased featured motion smoothing. Motion smoothing, more commonly known as interpolation, results in a horrible looking ‘soap opera effect,’ regardless of the content you’re watching. Most modern televisions include some form of motion smoothing visual effect that can be turned off, though in the case of my parents’ television, this wasn’t an option. Cruise goes on to complain that most modern televisions come with this feature turned on out of the box and that it’s often difficult to disable. McQuarrie then suggests television owners should Google a way switch the setting off. Though how serious Cruise and McQuarrie are taking the current state of motion smoothing is undeniably amusing, the feature truly looks ridiculous and is a modern television trend that needs to no longer exist. Interpolation, which creates frames that aren’t featured in the source video, really only makes sense when watching sports. The effect typically makes movies look cheap through the addition of false information. 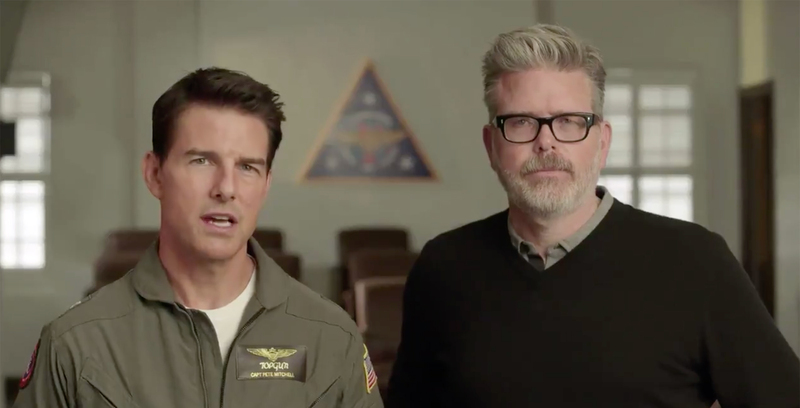 Both Cruise and McQuarrie released the motion smooth PSA today because Mission: Impossible — Fallout is now available on Blu-ray.